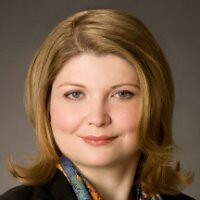 Elisabeth Kovac Biography | NGO Sustainability, Inc.
Elisabeth Kovac is a member of the bar of the state of New York. Between 1997- 1998. Elisabeth clerked at the Court of Vienna, Austria. She then became an associate attorney at Binder, Groesswang & Partner, Vienna, Austria. Elisabeth started her career as a New York attorney-at-law at Harnik & Finkelstein in New York, New York during 2000-2004. She moved to become an attorney at Rosensteel & Beckmann, LLC, New York, New York between 2004-2007. Presently, Elisabeth is the principal at Law Offices of Elisabeth M. Kovac, New York, New York. Elisabeth attended University of Vienna, School of Law, Vienna, Austria and the Dickinson School of Law of the Pennsylvania State University, Carlisle, Pennsylvania. She is the founder of Young Austrians, a social club for young Austrians in New York. Elisabeth is a resident of Manhattan, New York. Besides her interest in sustainability, Elisabeth’s personal interests include modern art, classical music, skiing and golf.